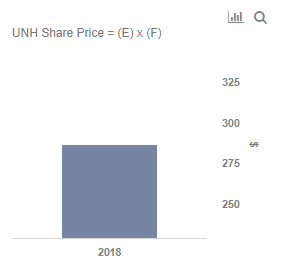 UnitedHealth Group (NYSE: UNH), the largest health insurer in the U.S., has been innovating in the healthcare space by leveraging data analytics. In doing so, the company is utilizing the technical expertise of its Optum division to develop an ecosystem that blends the core healthcare business with technological modernization. The company has developed several high-level solutions such as Rally Care and PreCheck MyScript, which deliver physician search and drive price transparency, thereby engaging more customers. We expect these solutions to be the drivers of growth for the company, especially in the Medicare & Retirement business. Our price estimate for UnitedHealth is $287, which is ahead of the current market price. 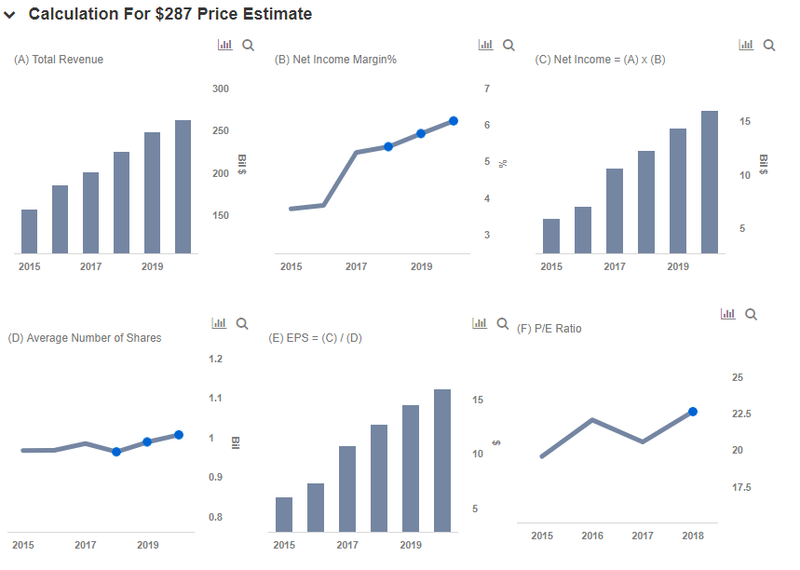 You can arrive at your own price estimate by visiting our interactive dashboard – Our $287 Price Estimate For UnitedHealth – and modifying the key drivers to visualize the impact on its valuation. In the most recent quarter, all three of the company’s major public and senior plans – Medicare Advantage, Medicaid, and Medicare Supplement – saw increases in enrollments. Medicare Advantage enrollments increased from 4.3 million to 4.8 million, Medicaid enrollments increased from 6.4 million to 6.7 million, and Medicare Supplement enrollments increased from 4.4 million to 4.5 million. Per the Kaiser Foundation, Medicare spending is projected to rise to 18% of total federal spending by 2028. Furthermore, Medicare spending per capita is expected to grow at an annual rate of 4.6% for the next few years to accommodate growing enrollments. UnitedHealthcare has consistently delivered strong performance in this business, and it plans to serve about 80% of its Medicare Advantage seniors with 4-star rated plans in 2019. This, along with consumer-centric products and benefits such as value-based care, should continue to improve efficiency and drive customer satisfaction. Meanwhile, the company is in the process of acquiring Louisiana-based Medicare Advantage plan Peoples Health, which will add about 63,000 customers and generate additional revenues. While the company offers myriads of digital healthcare solutions, one particular solution that stands out is Rally Care, a part of the Optum business. Rally Care, a digital wellness platform, allows customers to select the most suitable plans for their requirements, drives price transparency, and aids in physician searches. Furthermore, it reduces out-of-pocket expenses by suggesting hospitals that deliver high-quality treatments at lower costs. The solution is used by about 2.5 million people weekly and saved about $100 million in medical costs in 2017. Meanwhile, Rally Engage incentivizes people who make healthy choices. With over 35 million users, Rally Care has been widely successful within the Optum business. UnitedHealth plans to expand it to Medicare Advantage customers at the start of 2019. This, along with the growth outlook for Medicare Advantage plans, will likely generate more customer traction and drive top-line growth.